Minnesota author Sherry Roberts tackles the serious topic of censorship with a story filled with humor and unforgettable characters in Book of Mercy, a new release from Osmyrrah Publishing. 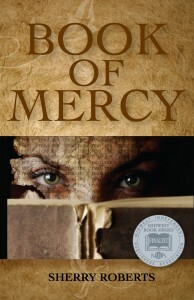 In Book of Mercy, a group of influential women—the Mercy Study Club—decides to remove “undesirable” books from the school library. It was supposed to be easy. 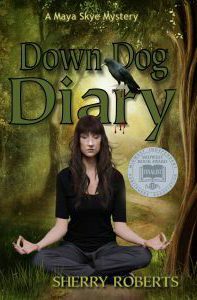 But they hadn’t planned on Antigone Brown, a woman who has trouble reading road signs, keeps a stone in her pocket to help her remember right from left, and despairs of ever being a good mother to her unborn child. As Antigone is quick to tell you, she is no hero. But now she will have to face her greatest fear to save the town’s books. About the Author: Sherry Roberts is the author of a novel about art and creativity called Maud’s House (Papier-Mache Press, California) and two nonfiction books on the city of Greensboro, North Carolina. She has contributed essays and articles to national publications such as USA Today. 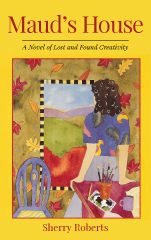 Her short fiction has been published in newspapers, literary magazines, and O. Henry Literary Festival Short Stories. After years as a newspaper reporter and magazine editor, she started her own company with her husband, The Roberts Group Editorial & Design (www.editorialservice.com), to provide editorial services and Web development to businesses and book publishers. She lives in Apple Valley, MN. 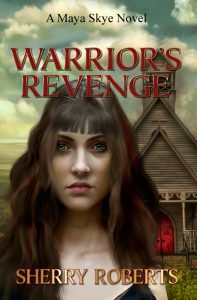 Visit Sherry Roberts’s blog: www.sherry-roberts.com.